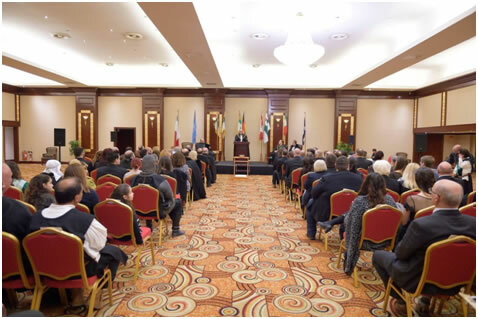 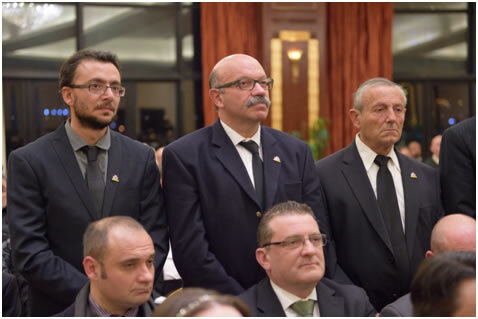 On the 17th of February 2017, the Grand Priories of Malta and Gozo conducted their bi-annual solemn investiture, yet confirming, by means of the constant attendance numbers of members and officers of the Grand Priories, their leading status as Malta's biggest chivalric organisation. 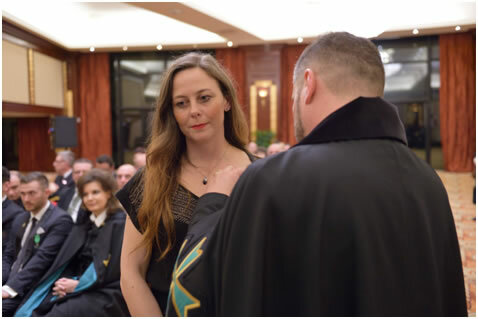 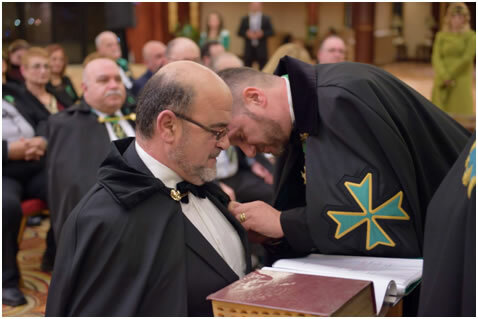 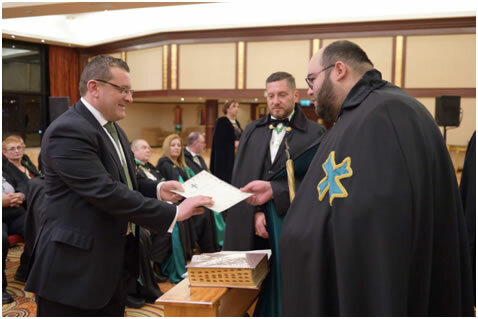 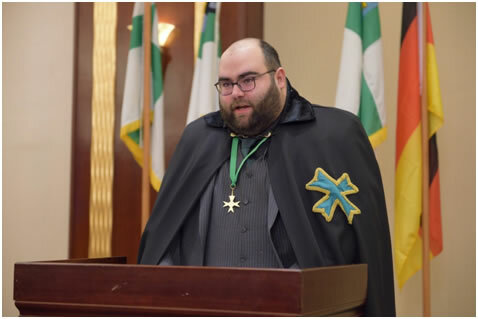 The Officers of the Grand Priory, led by the Malta Grand Prior Dr. Daniel Bugeja, President of the Notarial Council of Malta, led the investiture service, sanctioned by the Supreme Grand Priory, which was represented by the Grand Chancellor of the Order. 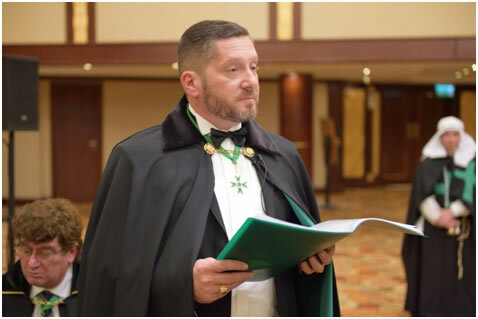 The Grand Prior of Germany, Chev. 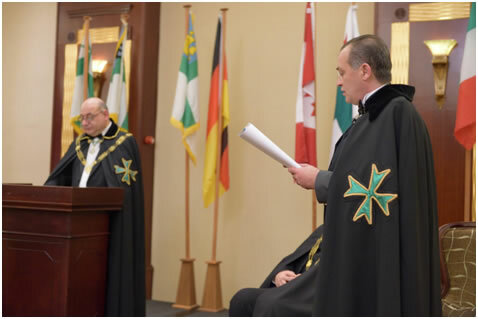 Peter Neuen, also led a deputation to the investiture, together with deputations from the Grand Priories of Russia and delegations from Canada and Italy. 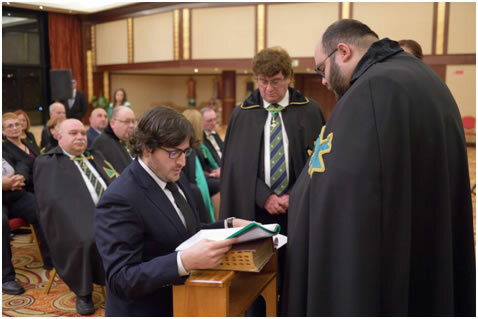 24 postulants joined the Order in the investiture and 10 officers of the Order were given promotions as well. 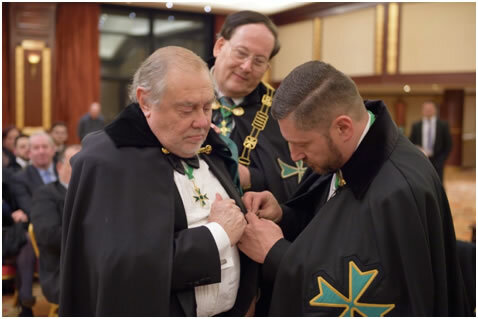 During this investiture, three Knights of Grace of the Order were promoted to the high rank of Knight Commander of Grace of the Order. 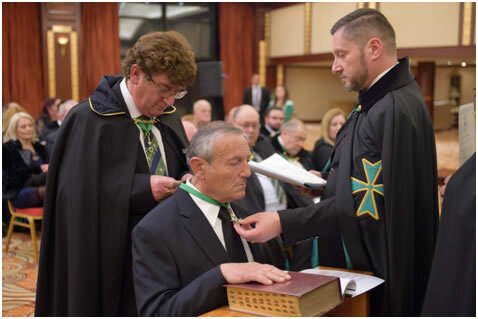 The officers mentioned included the Chevalier Ronald Ellul KCLJ, one of the founding members of the Grand Priory of Malta way back in 2002; the Chevalier Alfred Galea KCLJ, a noted philanthropist who aids and assists the growth of the Order at every opportunity and the Chevalier Peter Neuen KCLJ, Grand Prior of Germany, for his leadership skills in the creation of a sound base of Lazarite activity throughout Germany. 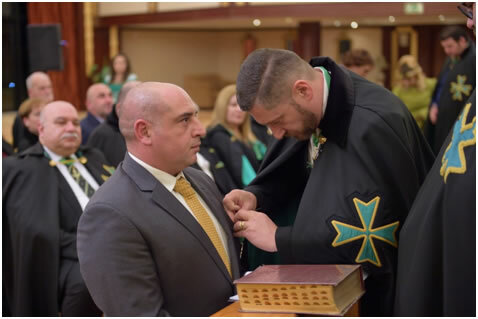 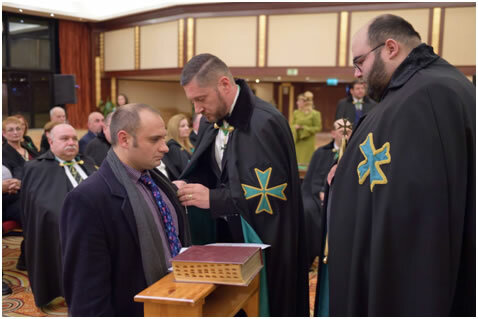 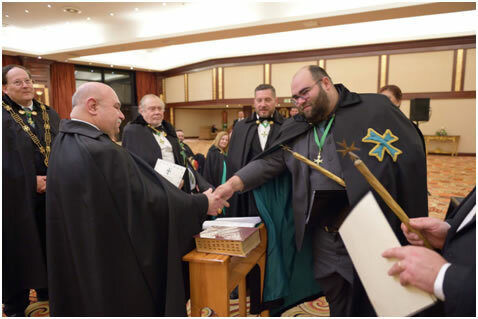 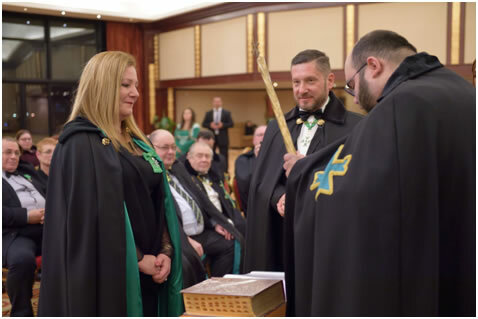 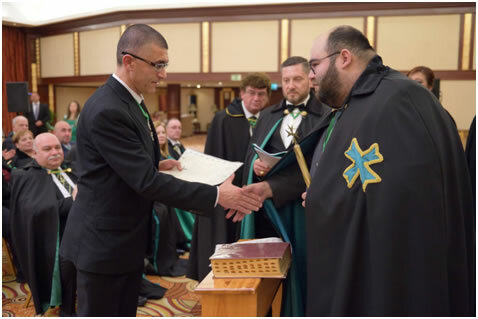 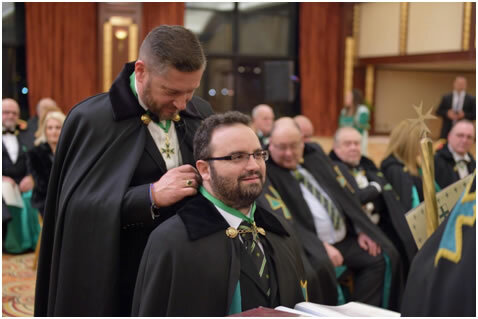 The investiture, as has now become the norm, saw the active participation of members of the Lazarus Projekt Commandery under the command of Confrere Anthony Galea. 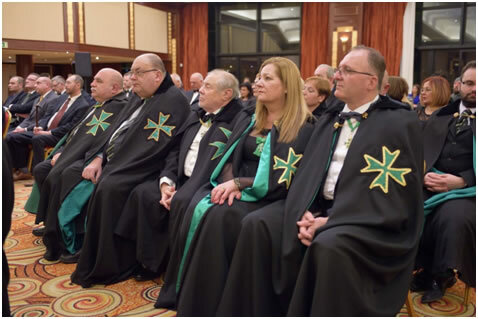 Their constant initiatives in projecting edutainment to the masses and underlining the history of the Order by means of their re-enactment skills were mentioned and congratulated by the Grand Chancellor. 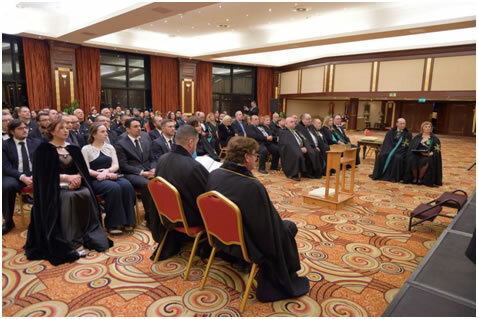 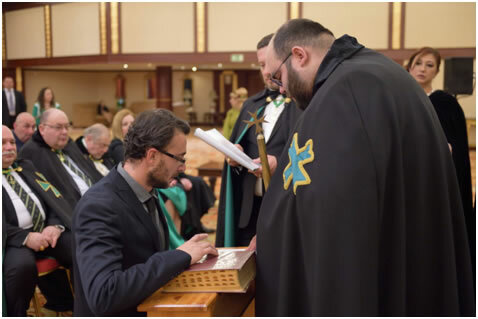 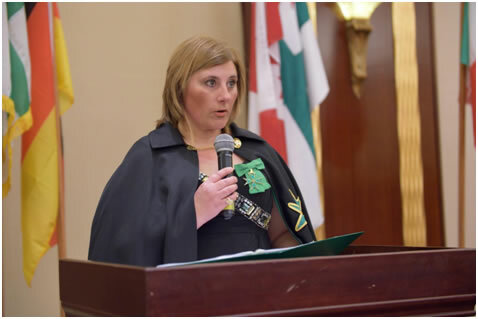 The investiture was held at the same time as representatives of various EU NGOs and Foundations from all the EU countries were holding a European Conference in Malta, co-hosted by the Saint Lazarus Foundation. 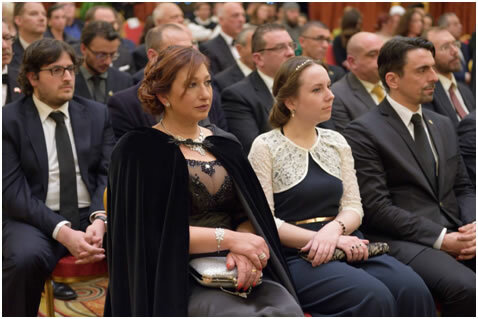 The delegates then joined the members of the Malta and Gozo Grand Priories in the Investiture Gala Dinner held at the Grand Hotel Excelsior. 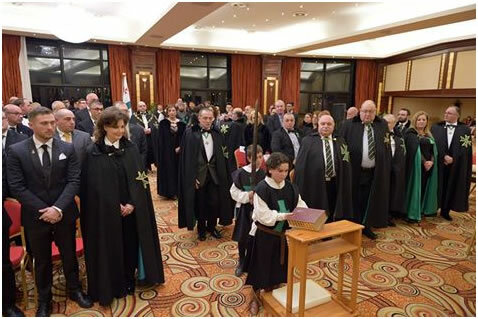 During the investiture dinner, the ceremony of awarding the accolades of Companions of Merit to worthy individuals, which normally is done during the investiture service, was conducted then due to the fact that a substantial amount of delegates from various countries still had duties to perform at the mentioned conference at St. Paul's Bay and who joined their confreres and consoeurs at the mentioned Gala Dinner.